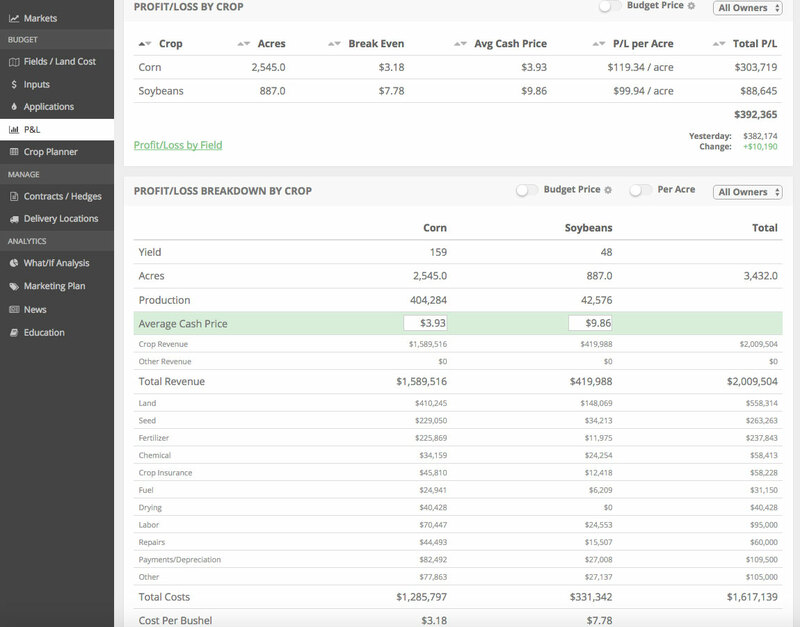 This week I’m going to discuss a framework for analyzing farm investments using the example of grain storage. This framework can be applied to any investment as long as you have a reasonable estimate of what your annual return and/or savings will be from it. Step 1: Estimate the annual return and/or cost savings. I’ve helped clients across many states analyze the cash flow realized from grain storage investments. Here are my estimates of the financial benefits of grain storage broken down into three categories. Please note these are rough average estimates that I feel are, if anything, a bit conservative. Total Annual Return on Grain Storage - $.30/bushel. If grain storage costs $1.50/bushel to build, you are receiving a 20% annual yield on this investments which is obviously a great ROI. What if our project is more expensive that this? Let’s look at a simple calculation to calculate how much we can pay for an investment to achieve a positive return. Step 2: Calculate your cost of capital. In addition to your annual return/savings, you’ll need to determine what is your cost of capital. Your cost of capital is usually the combination of two factors, 1) the interest rate on your debt and 2) the opportunity cost of your cash/equity. See below for the capital structure on our grain storage investment. Step 3: Calculate your breakeven purchase price. Once you estimate your annual return and determine your cost of capital you can calculate the maximum price you can pay for that investment. Here is a simple formula for calculating your upfront breakeven investment cost. While not 100% correct, it is very close if the life of your investment will exceed 10 years. The longer the life of your investment the more accurate the formula will be. Given that your annual return assumptions will never be 100% correct you need to take the result with a grain of salt. But I think we can all agree that grain storage shows a great ROI and can be purchased for much lower than our breakeven cost estimate of $5.00/bushel. This is the logic that highly paid executives use making investment decisions in many other industries. They may devote a lot more time and resources to more precisely estimate their annual return but I’d argue that their results aren’t any more precise than this simple logic. All businesses should have an ongoing list of investment choices ranked by their return potential and farming is no different. Look at your operation and determine where your money is best allocated. I favor a mix of lower return land investments and higher return asset purchases (storage, tile, etc). Every situation is different. Don’t hesitate to send me an e-mail (nickh at marketwiseagservices.com) with any questions regarding situations on your farm.